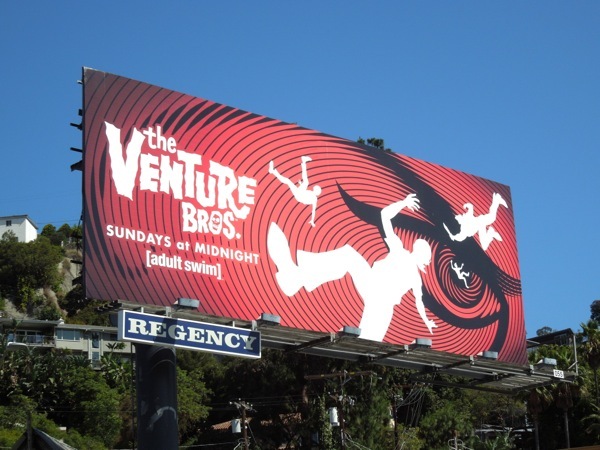 There's something wonderfully hypnotic and psychedelic about this cool creative for Adult Swim's animated action comedy series that just draws you in. 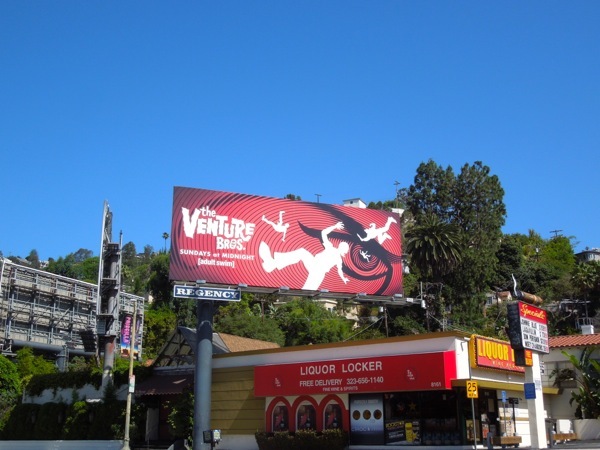 Are you ready for more offbeat quests and bizarre misadventures with the Venture family? 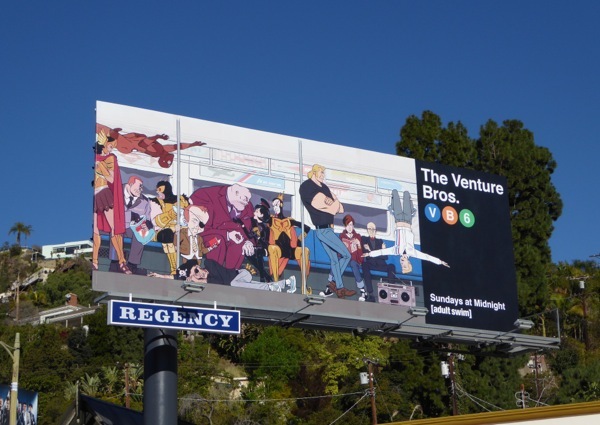 This season five billboard was first spied along Sunset Boulevard on June 8, 2013, and if you like this ad, be sure to check out more eye-catching Adult Swim TV show billboards. 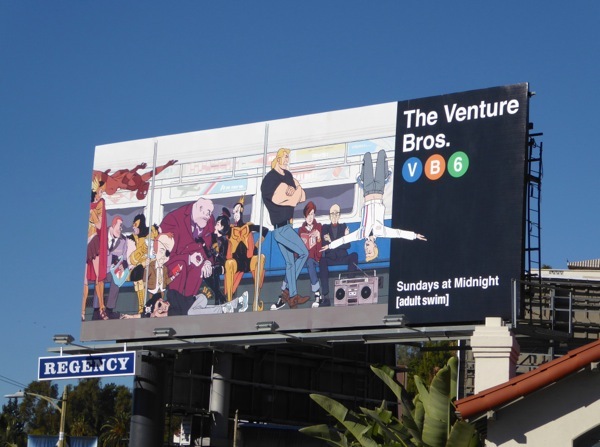 UPDATED: The Venture Bros. are back for a sixth animated season and here's their New York subway themed billboard snapped along Sunset Boulevard in West Hollywood on February 5, 2016. 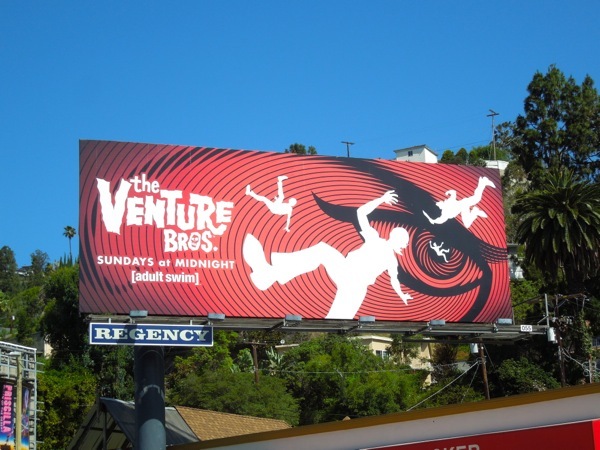 Get set for more drama, danger, super-scientists and the usual assortment of weird and wonderful characters.